Wellington Bowl, Great Yarmouth, is a great choice for corporate evenings out. 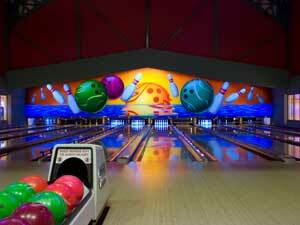 Slip on your bowling shoes and enjoy a fun team building game of ten pin bowling in this modern and lively venue. Refreshments available from the bar area. Group rates available - please enquire directly. On entering Great Yarmouth follow signs for Seafront and proceed towards the Pleasure Beach.